May 6th morning, Shandong Lingdong Information Technology Co., Ltd Chairman Zhang Zheng, CEO Wang Yuekun, Marketing manager Wei Shujie, Planning department manager Cheng Xinhang and other members visited China Transport Group for discussing on the deepening cooperation in the full range of screens cultural industry with Shandong Guyuan Film Co., Ltd that under flag of China Transport Group. Deputy general manager of China Transport Group Fan Pei Gong, Sun Shijun, Li Zhaopeng, Guan Chenghui and manager of Guyuan Film Niu Zhihui, technical director Chen Kedong and other leaders presented the symposium. 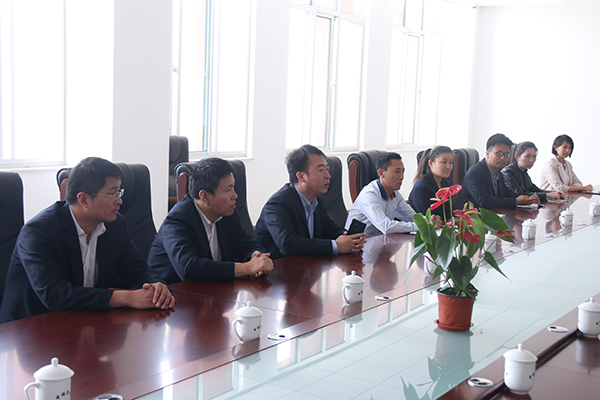 At the symposium, Sun Shijun, deputy general manager of China Transport Group, gave an introduction to the visitors in the current development, business model, direction of market operation and future planning of Shandong Guyuan Film and Television Company, and won the praise from the guests. Subsequently, the leaders of both sides made a deep exchanges and negotiations on cooperation mode, propaganda & promotion and online & offline platform co-construction in the future. 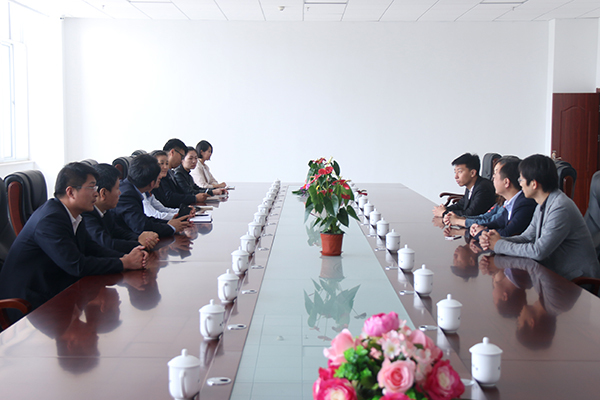 and reached a preliminary cooperation intention in film and television production, 3D video, UAV aerial photography, VR scene shooting, entertainment resources integration, micro film shooting and other fields. The visitors highly affirmed the sincerity of our group on cooperative projects and expressed great hope for the future cooperation between the two sides. At the symposium, Shandong Lingdong Information Technology Co., Ltd CEO Wang Yue Kun said, we should consider this cooperation as an opportunity to deepen our comprehensive cooperation in the platform operation and brand promotion, UAV shooting, VR panoramas and other fileds,. Complementary advantages, resource sharing, powerful combination for better enhancing our popularity in the province's film and television industry, and achieving a win-win situation for both enterprises! In recent years, China Transport Group adhere to the all-round, high-level, wide-ranging global development strategy, not only made outstanding achievements in e-commerce, high-tech agriculture, intelligent logistics, software development, intelligent equipment manufacturing, but also aggressively pursued new industry and field. The establishment of Shandong Guyuan Film Co., Ltd. is a new starting point for China Transport Group to head toward the cultural and creative industries. In the future, we will invest more resources for film and television production, entertainment resources integration, high-end VR field shooting and other aspects, continuously enhance our marketing share in film and television industry, improve the the ability of derivatives industrialization, maximize the synergy of cultural film and television industry chain to make a positive contribution for the development of China film and television culture and creative industries!